One of the biggest things for me to feel confident is that my hair looks good. I honestly believe I spend more time on my hair than I do picking out my outfits at the moment, so here is how I get the perfectly styled hair. 1st Step is to either wash or just wet the hair. I wash it every other day so other days I just wet it a little so I can add the product. Step 2 is to add my R+Co Dallas thickening spray to my towel dried hair, this stuff is brilliant and I actually see a difference in my hair when using it. 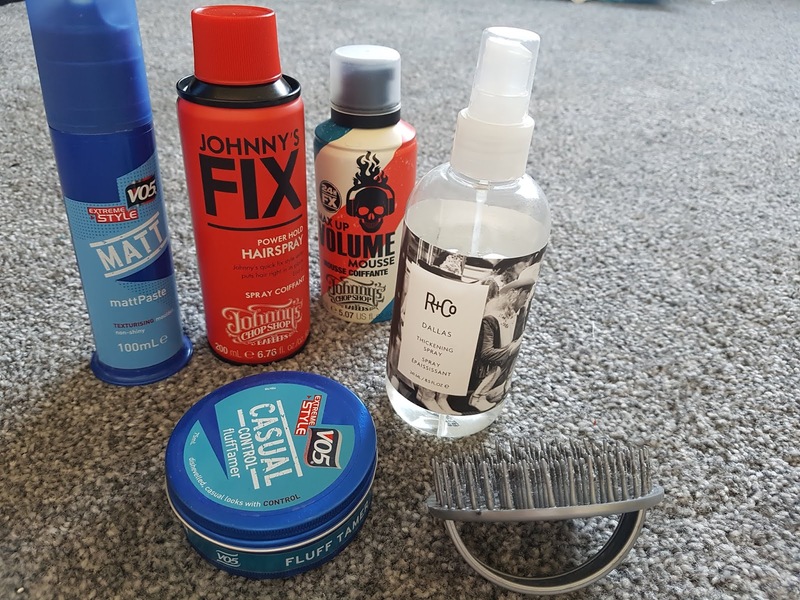 I then add some of the Johnny's chop shop volume mousse, this is a fairly new product but I am noticing some extra volume whilst using it. I will then blow dry my hair and use this little brush to get my perfect style. I do need to add a heat defence spray into my routine just as an extra line of defence. Once my hair is dried into the style I want I then add my Vo5 fluff tamer just to take down and static hairs I may have, especially as the shaved sides start to grow back. 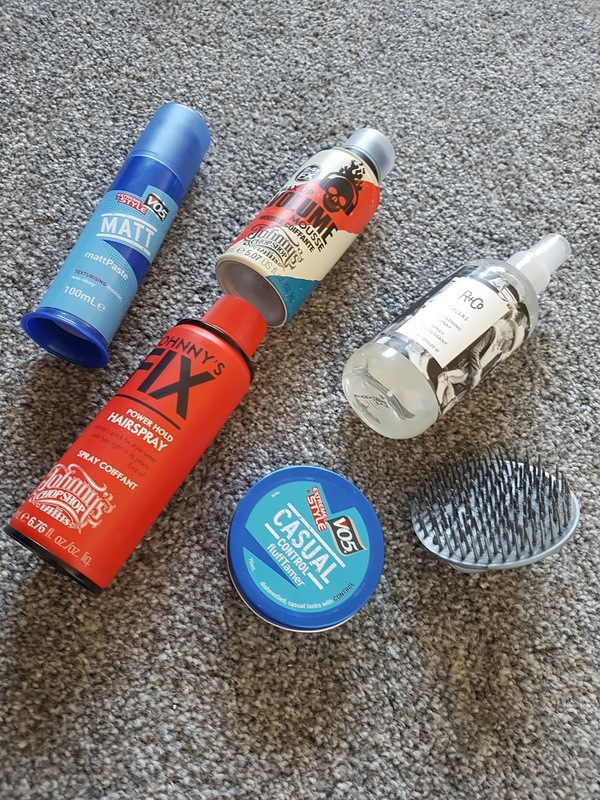 The Vo5 matt paste is the current product I am using to just help me get the perfect style and I am loving it. You can't see the product and it gives a really good hold. Finally a quick spray of my hairspray just helps keep the hold for the day. This Johnny's chop shop one is definitely my favourite product. So that is how I style my hair and help give myself the confidence boost daily. It is honestly one of my favourite parts of the day is doing my hair.